A gasket scraper is typically used to remove an old worn gasket from an engine or component surface, before a new one can be installed. 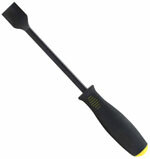 The thin bladed scraping and prying tool for removing stuck gaskets and working in between parts that are stuck together. Most of the time after removing the bolts for the intake, your going to need to scrape and pry in between the intake and block to break the gasket seal. 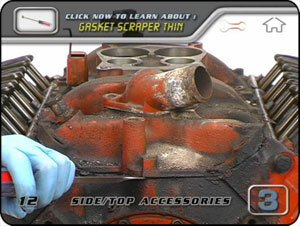 This is where the gasket scraper will help you more than any other tool.